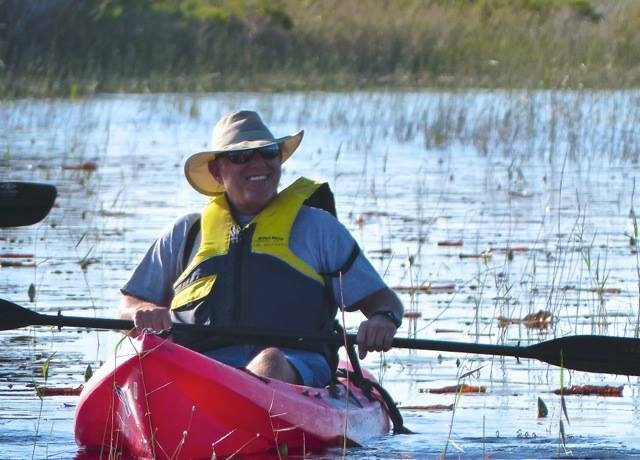 Savannas "goers" know that the best way to immerse oneself in the park is by kayak! Whether you're a water sport enthusiast, avid paddler, a beginner in kayaking, or simply a nature lover at heart, we would love to have you on a guided kayak tour. Our guides are trained in the ecology of the Savannas and have a diverse set of knowledge that they love to share with their groups. Have a question? These volunteers are top notch and will probably have an answer! ​Tours begin Friday and Saturday mornings promptly at 8:30 a.m. ​During the winter season we also have Sunday morning and Friday evening moonlight tours. (Click on the Calendar button below to see the dates and times for the Marsh by Moonlight guided kayak tours.) The Friends of Savannas Kayak Committee guides the tours for a $10 donation per person ($15 for the moonlight tours) in addition to the park admission fee of $3 per car (exact cash only, credit cards are not accepted). The park admission fee is waived for annual Florida State Park Pass holders. Guests are asked to arrive at 8:00 a.m. The donation covers the tour itself, an interpretive tour guide, basic instruction, and a kayak (solo or tandem), PFD (personal flotation device) life vest, and a paddle for the trip. Please call the Education Center for reservations at (772) 398-2779. Reservations are required. For communication only on the morning of the kayak trip, please call (772) 207-8310. All participants must be over the age of 6. Participants under the age of 16 must be accompanied by an adult. What to bring/wear: drinking water, water shoes/sandals that can get wet, hat and sunscreen, change of clothes if you get wet. Kayak and canoe rentals are not available at our Park. 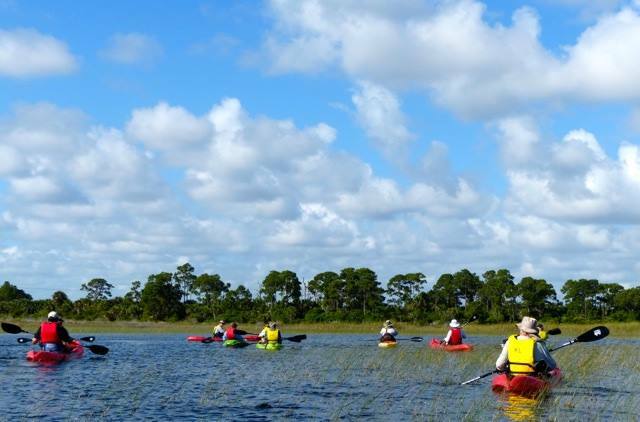 Click on the Kayak rental companies button for a list of outfitters in St. Lucie, Martin, and Indian River counties.